In WB No. 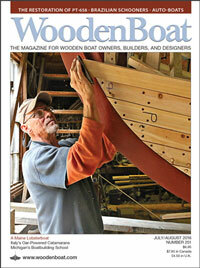 247 Greg Rössel, contributing editor of WoodenBoat magazine, reviewed the Elco 9.9-hp Electric Outboard Motor. Elco, a pioneer in electric marine propulsion more than a century ago, has recently begun offering a line of electric outboard motors. These motors bear an outward resemblance to their gasoline-powered counterparts, but under the cowling, in place of an internal combustion engine, are an electric motor and its controller. 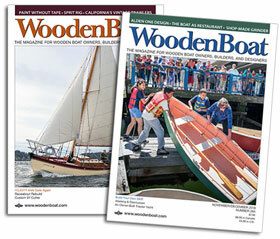 For more details see WoodenBoat 247, November/December 2015.